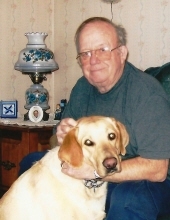 RUMFORD – Mr. Norman James Beaudet, 82, died Wednesday January 30, 2019 at the Rumford Community Home. He resided on Grandview Circle in Mexico. Born in Rumford, ME on April 12, 1936 he was a son of Jesse and Jennie (Richards) Beaudet. Norman attended Rumford Schools and served in the US Army and the National Guard from 1957 to 1964. He worked for Breau’s Dairy for 28 years. He then went to work for Daniels Construction for 2 years, then he worked for the Rumford School Dept as a School Bus Driver and Head Custodian at the Virginia School until his retirement in 1998. In addition to his family, Norman enjoyed camping at Cupsuptic Campground, his trips to Las Vegas twice a year with his wife and friends, his hunting and fishing trips up to Ray Chabot’s camp at Rapid River and especially gathering wood for home and for his fireplace at camp. Norman was married in Rumford, ME on April 11, 1959 to Mary (Janet) Bissonnette who survives of Mexico. Other survivors include a son, Gary and his wife Darlene of Canton, ME; three daughters, Peggy LaPointe and her husband Tim of Harrison, ME, Barbara Gallant of Enfield, NH and Patty Belanger and her husband Richard of Dayton, ME; his sister Irene Merrick of Needham, MA; 10 grandchildren, Jonathan LaPointe, Michelle Russo, Natalie LaPointe, Hannah LaPointe, Greg and Chris Gallant, Timmy John, Jesse Beaudet, Anthony and Alex Belanger and 4 great grandchildren and a very good friend and known as his second son, Danny Gallant. He was predeceased by his parents, sister and brother-in-law Evelyn and Arthur Breau, brother and sister-in-law Ted and Evelyn Beaudet, and his brother and sister-in-law Bill and Doris and his very good friend, Ray Chabot. To plant a tree in memory of Norman James Beaudet, please visit our Tribute Store. "Email Address" would like to share the life celebration of Norman James Beaudet. Click on the "link" to go to share a favorite memory or leave a condolence message for the family.